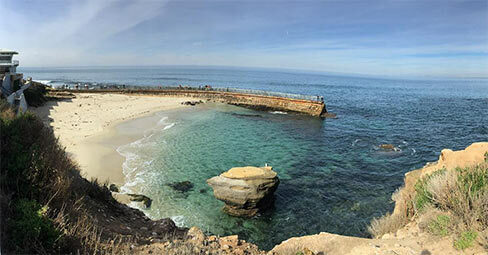 The picture above is one I took with my iPhone of a beautiful beach cove looking out into the Pacific Ocean in San Diego. I was just on vacation in SanDiego for about a week. I didn't get any writing done then as we were going nonstop from morning till night. It was a lot of fun. I love my family. 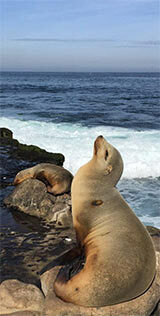 The other pic below is of some awesome sea lions at La Jolla Cove in San Diego. While we were in seventy-degree weather it was dumping snow back at home. It was nice to get away for a while. Now that I'm back my novel "Ghost Hunting Realtor" is coming along. The little meter in the upper right of this website is slowly filling up as I write more chapters. If you want to be an Alpha Reader feel free to check out the first draft of the novel as I post it chapter by chapter over at Wattpad. I do go through and give each chapter an edit, but now that I've finally learned story structure I'm not needing to go back and fix the story. Just the grammar and the way I describe things here and there. I also find a lot of funny typos made from using speech to text to write. I use my iPhone to transcribe my speech into text on the fly. It works surprisingly well but sometimes makes for some interesting word mix-ups. It's an incredibly fast way to write, though! Way faster than typing. I still prefer typing but speech to text is the fastest way to write and produces great dialog I can't seem to get on the keyboard. 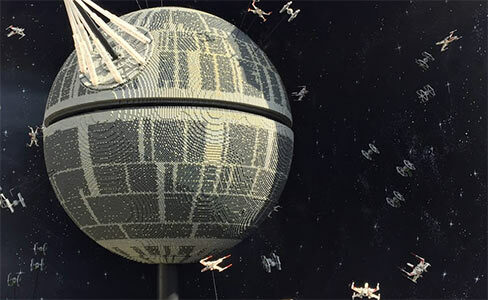 We also go to visit Legoland! That was really fun. I... er uh I mean - our kids had a lot of fun seeing all the amazing stuff made out of legos :) It was a fun trip to remember. Now I'm back shoveling snow and slapping words onto the screen to get the first draft of my novel written. I hope 2017 is treating you well. Thanks for stopping by!